When coming to decisions, we all have a tendency to reach decisions that are not entirely logical or free from bias. We should all aim to limit the effects of such biases. This is particularly important for those reaching decisions in a judicial setting. However, this is hard to do unless we know about the biasses that may exist and how they may be countered. In a recent edition of Tribunals Journal (2018 No 2) Simon Ward – a medic who also sits as medical member of the First Tier Tribunal – discusses five major types of cognitive bias that exist when we are required to weigh evidence before reaching a decisions. He also considers techniques for countering these biasses. Representativeness. Similarity or resemblance to a group is used to imply representativeness of that group rather than using the real probability of membership. Applying the actual base rate rather than the perceived occurrence rate of the factor being considered, is recommended so the correct likelihood is utilised. Availability. Easily recalled or available memories or experiences are used to predict or estimate an outcome rather than the actual objective occurrence. Using measures to reduce reliance on memory such as reminders, prompts and checklists, is advocated so that accuracy is maintained. Anchoring. Salient or prominent features are preferred and given undue influence or anchored onto before evaluation is completed. Slowing down decision making to allow time to evaluate matters fully is advised so the correct weight or apportionment is applied. Confirmation. Information that confirms our own pre-existing expectations or beliefs is filtered and selected in preference to opposing or contradictory aspects. Actively seeking out alternative possibilities or positions is suggested so as to challenge and counter subjective, partisan or partial viewpoints. The article gives further examples of the applications of these principles and how they may be applied in practice. The lessons are, of course, important for all decision-takers, not only judges. It is an issue to which, historically, little attention has been paid in judicial training. It is very interesting that a practicing tribunal member should be seeking to share his expertise on this often misundertood issue. The full article is at https://www.judiciary.uk/wp-content/uploads/2018/03/tribunals-journal-edition2-2018.pdf pages 2-9. In January 2019, the Human Rights Group JUSTICE published the report, Understanding Courts. It was the work of a group chaired by Sir Nicholas Blake. The central message of the report – which builds on other reports published over the last few years by JUSTICE – is that going to court can be a confusing, intimidating and disempowering experience for lay people, whether as parties, witnesses or jurors. This is only compounded for people who are unrepresented, and for otherwise vulnerable people. This report argues that, in the context of the current programme of reform of courts and tribunals, lay people should be put at the heart of court processes. The objective is to encourage meaningful access to justice through effective participation. there should be support for all users who need it. It is an interesting report, which deserves to be taken seriously. But I have the specific comments to make. 1 Tribunals have long espoused the key principles set out in this report. There is mention in this report that the user focus of tribunals needs to be brought into the court system. If this report has the effect of stopping (court) judges regarding tribunals as second class courts, rather than as first class dispute resolution forums, then it will have served a useful purpose. 2 There are many recommendations in the reports about ensuring that information provided by courts is user-friendly and up to date. This again is welcome but this is a message that has been developed on many occasions over recent years. Now is the time to get down to the hard work of developing user-friendly information and forms that really do enable individuals to improve their access to justice – using the potential of IT to the full. 3 If the change of culture recommended in the report is to be fully realise this has a significant implication for the training, not just of the judiciary, but also of court staff and other legal professionals. The recent spate of press stories about bullying judges is extremely worrying – it is hard to see how a bullying judge would have the empathy or patience to adopt the approach outlined in this report. Judges already in post will need as much training in the interpersonal skills required to change court culture as those coming new to the role. 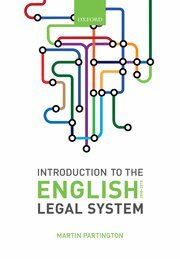 In December 2012 I published a podcast with Lady Justice Hallett on the work of the Judicial College in training the judiciary. Her role was taken over by Lady Justice Rafferty in August 2014. The work of the College has continued to develop although with reduced resources. It still provides core induction training for all new judges – different courses depending on the type of judge concerned – criminal, civil, administrative. But its most notable innovation has been the creation of an extensive prospectus of courses to which sitting judges may sign up. (They have to undertake a minimum amount of compulsory professional development wach year). The scope of the programme is considerable and includes a number of academic seminars bringing together judges and legal scholars. The bulk of the programme focusses on practical matters arising in different subject areas. The current prospectus (valid until March 2015) can be accessed by clicking on the link on that page.